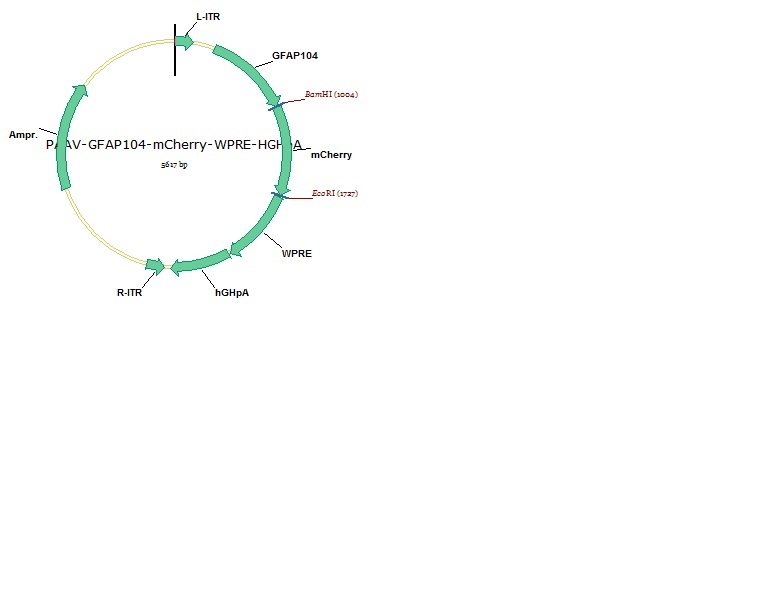 The depositing lab has sequenced the 5' ITR, promoter, and fluorophore. Multiple digestions were done to verify the vector structure. The construct was tested in vitro and the virus was tested both in vitro and in vivo. Ready-to-use AAV5 particles produced from pAAV-GFAP104-mCherry (#58909). 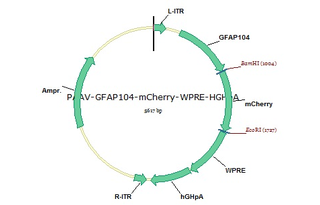 In addition to the viral particles, you will also receive purified pAAV-GFAP104-mCherry plasmid DNA. 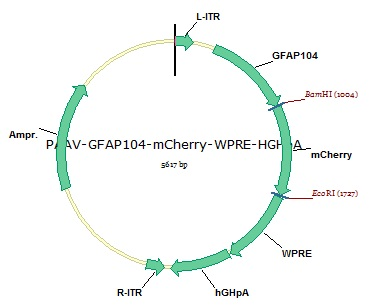 GFAP104-driven mCherry expression control. These AAV preparations are suitable purity for injection into animals.